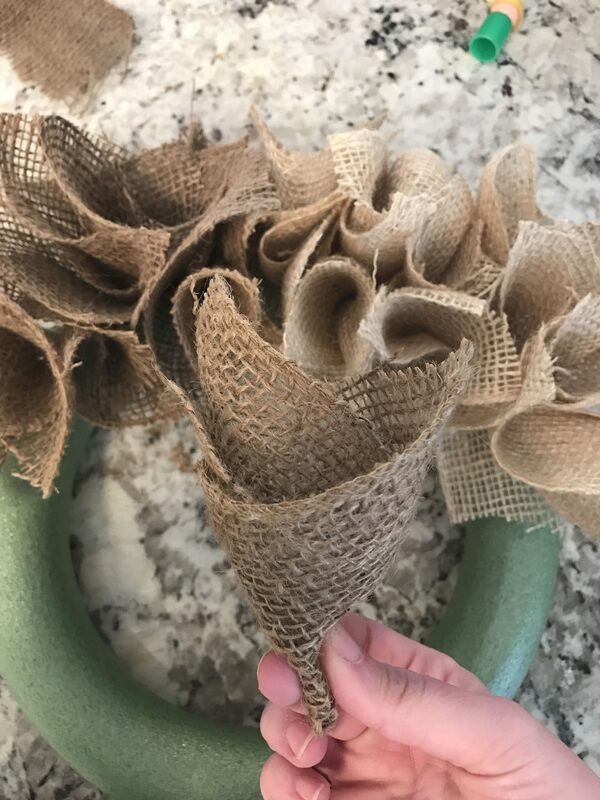 I have been wanting to make myself a burlap wreath for years now. I was inspired by my girl Jillian Harris when she posted her pretty creation on her blog. I would share that post with you but it was so dang long ago, it does not exist anymore. So you can imagine, this wreath has been on my mind for quite some time. Finally, I set aside time to make my own and I’m loving it. It was so much easier than I expected, you could totally Netflix and wreath it. Multi-tasking at it’s finest. 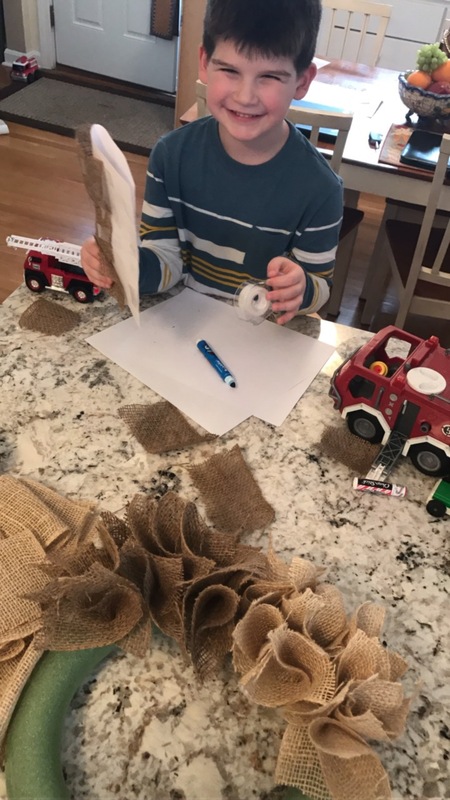 I cut the burlap into squares ,I did not individually measure the squares, just randomly cut what I though was appropriate. I then folded the pieces into cones, stuck the pin through the bottom of the cone and then attached it to the foam wreath. 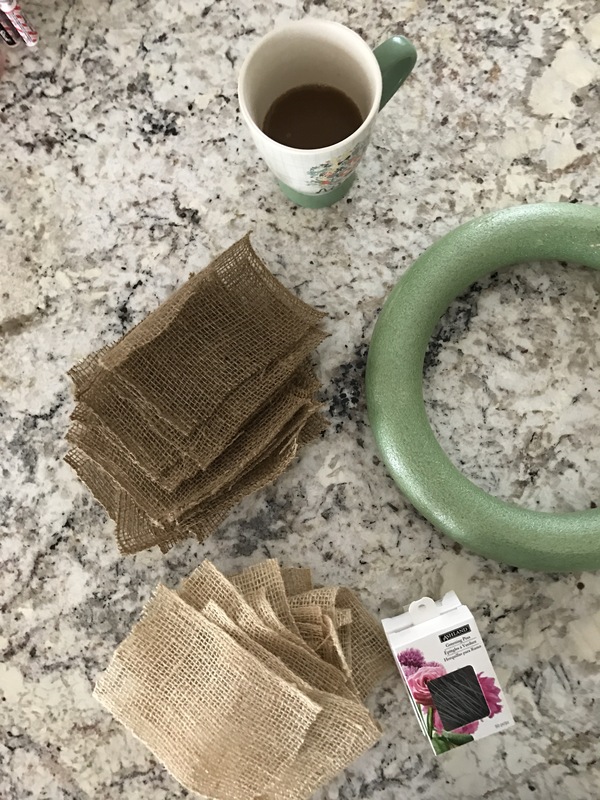 I doubled up on some, using two burlap squares for one pin. 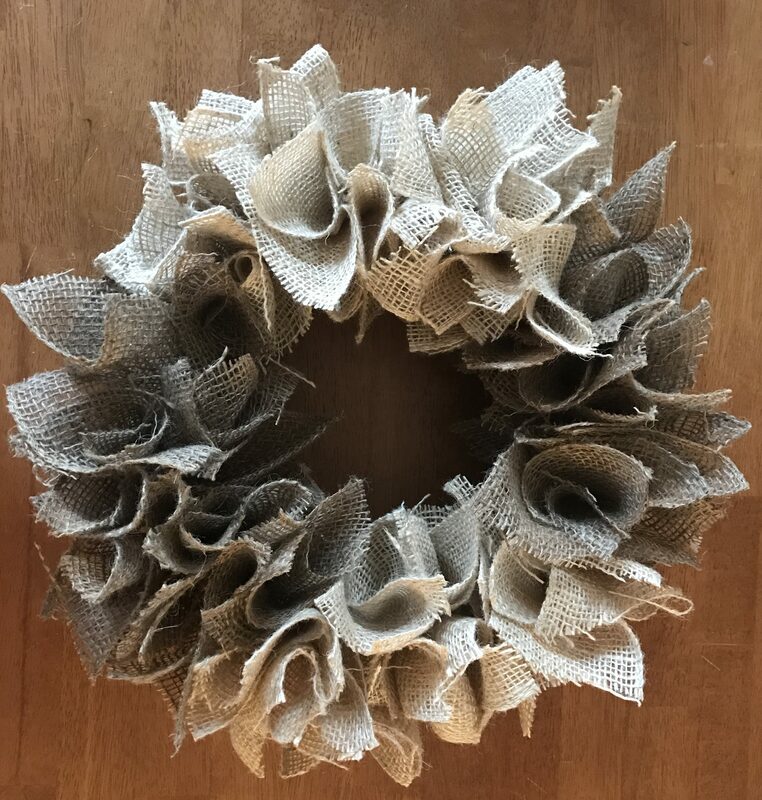 The finished product is a pretty little wreath, you will be proud to display!